survive and overcome the tragedy. While media portray victims waiting for aid, the reality on the ground is a story of local people working together to get back on their feet. We can call them local heroes. 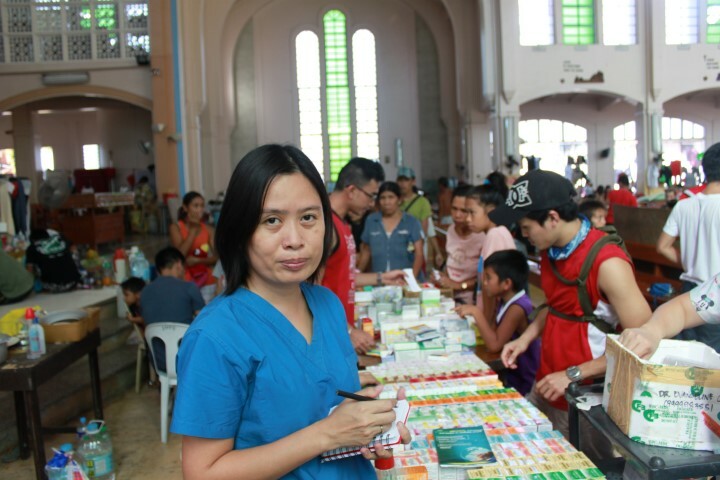 At the Redemptorist church on the main street, where IOM is helping survivors to organsised themselves into committees to coordinate aid, surgeon Evangelina Cua is organising her own team of volunteers. To the side of the altar, in a church housing 2,000 displaced people, her helpers are cleaning wounds, giving injections, prescribing antibiotics and helping mothers with small children. She teamed up with a midwife, a chef, a lawyer and a doctor, and together they are working from dawn to dusk to provide basic healthcare to people in desperate need. Marie Glorie Troyo, 23, lives in another displaced centre where IOM is active. 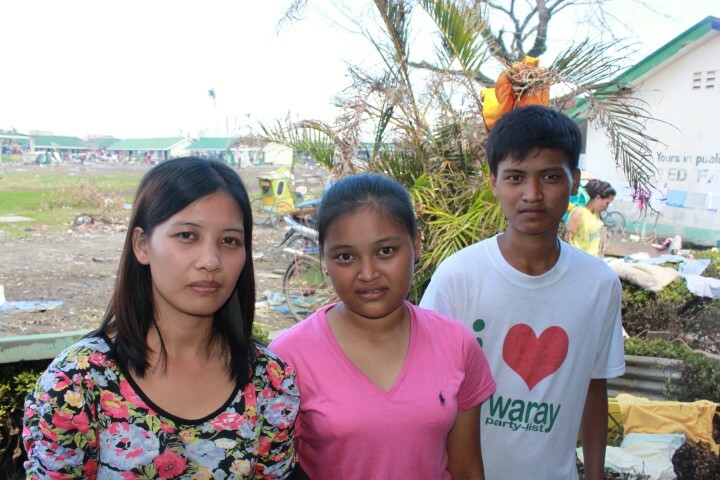 She saved her teenage siblings by getting them up onto a roof at the height of the storm, and hanging on to them and to exposed rafters for six hours at the height of the storm’s ferocity. 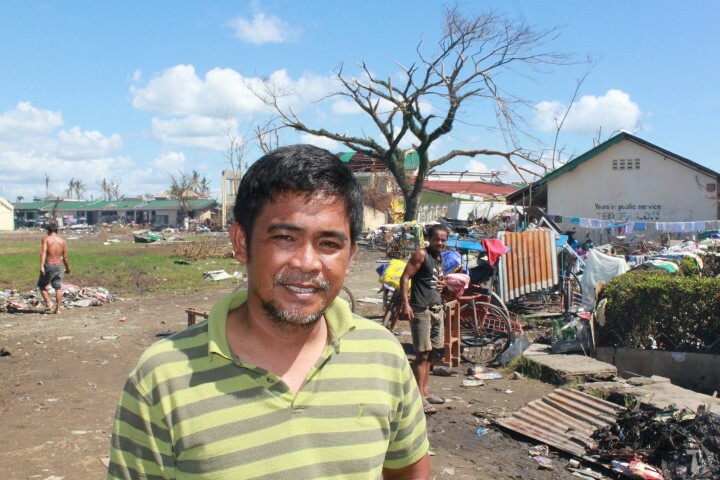 And there’s Leo Bahin, a Barangay (village) captain, who, tasked by IOM to start the displacement tracking matrix, had a full list of 300 families under his care within 12 hours. “Now if could only get a truck I could bring 2,000 litres of water that we have in emergency storage,” he says, thinking of the needs his people. And finally a young man named Ees, who was full of pride as he cleaned a mountain of garbage from inside the Tacloban Convention centre, where 2,500 people are sleeping. His smile said it all. He was doing something to help his family, to help him feel worthwhile. 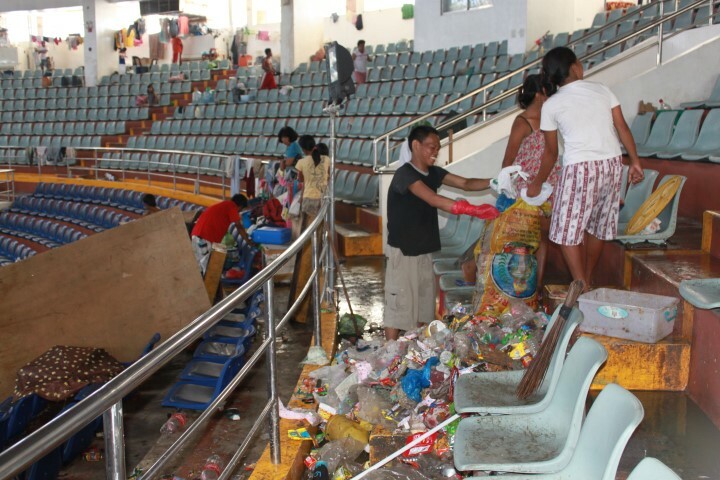 "Ees", cleaning the Tacloban Convention Centre where his family and about 2,500 other people are still living.